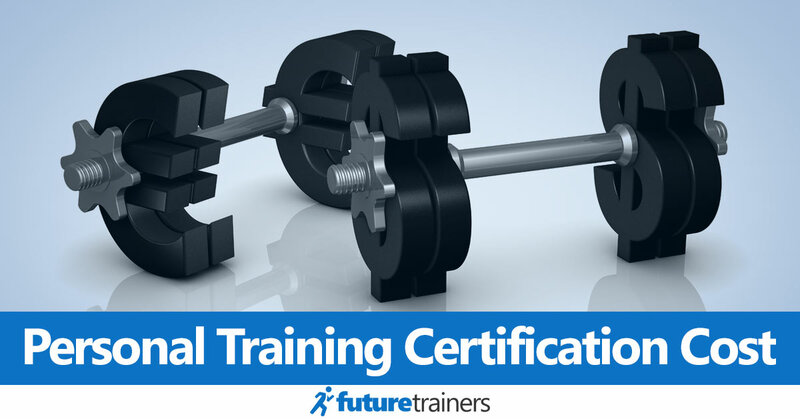 Personal Trainer Certification Costs and Comparison – How Much Should You Expect to Pay? Are You Eligible for Discounts? Did you know the U.S. Bureau of Labor Statistics estimates the hiring of personal trainers will increase by 24% between 2010 and 2020? There’s never been a better time to become a trainer – and a certification is the first step to a new career. While there are upfront costs to getting certified, the potential return on investment is huge. With that said, it’s important to know how much everything costs if you’re thinking of becoming a CPT. Here’s a list of average costs along with a comparison of some of the top certs. The upfront costs of a PT certification are your CPR/AED certification, learning materials and exam. While you don’t need to buy the study materials, they are a worthwhile investment. Each certification’s materials teach the exact syllabus you’ll need to pass the exam. The information is also essential to becoming a successful trainer. Even so, some certifications offer the exam separately. If you already have access to study materials, perhaps from a friend who has studied the same course, you can save money by purchasing the exam on its own. The learning materials and exam aren’t the only costs of becoming a PT though. You also need to consider the recertification cost for your chosen certification. This includes the fee for renewing and the price of continuing education units (CEUs). All PT certs require you to complete a certain number of CEUs, but the amount and renewal period varies. And if you plan to setup your own business as a PT, there are additional costs. These include liability insurance and marketing materials. Let’s take a closer look at the average cost of each of these categories. 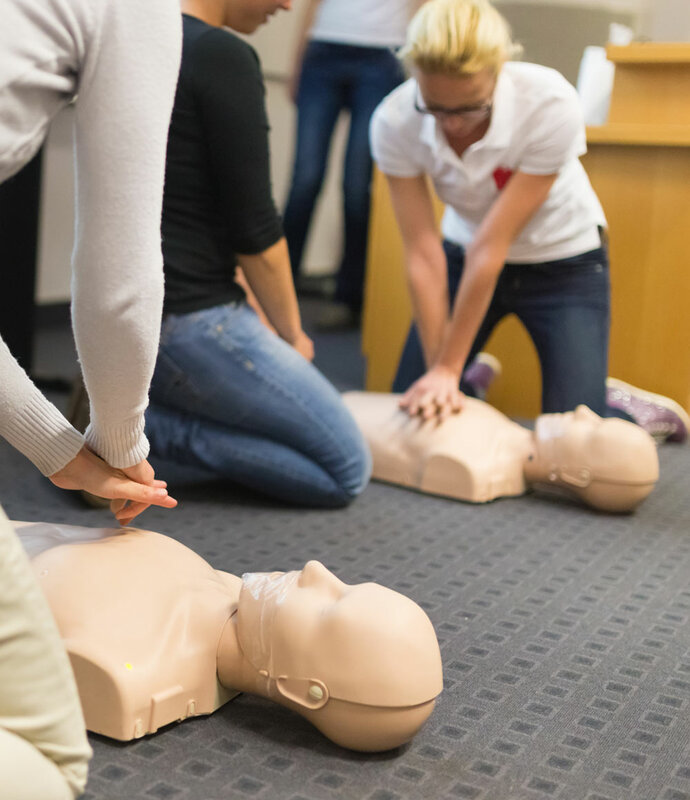 All certifications need a valid CPR and AED certificate before you take the exam. Most organizations specify this must be an offline course, but some (such as ISSA) also accept online certifications. Fortunately, getting a CPR/AED certificate is relatively cheap. The Red Cross, for example offers a course in Adult First Aid, CPR and AED for $88. You’ll need to pay more if you want the pediatric equivalent, although this is often taught at the same class. The biggest upfront cost is learning materials. These are offered in packages that may or may not include an exam – and the price can vary depending on which materials are included. NASM, for example, sells their basic self-study program for $699. This include a textbook, lecture videos, exercise library and practice exam materials. You also get a single exam token. If you want access to a mentor, live workshops and a job guarantee, however, you’ll need to pay up to $1999 (although NASM regularly offers discounts). Other certifications allow you to buy individual learning materials separately from the exam. NSCA, for example, sells their highly respected textbook for $104. You can also buy various other materials depending on what you need – but you must purchase the exam separately. This range of options makes it difficult to put an average price on materials. If you’re happy to self-study with the main course textbook, certifications such as NSCA can be cheap. If you want access to all materials, including training exams, live workshops, webinars and mentors, the cost could be much higher. With that said, NASM is the exception with its $2000 program – and they offer several cheaper options. Most programs cost $350-$800. Several certifications offer discounts to people in the military, police and fire services. Club staff may also receive a discount, although the amount varies depending on the organization. The certification exam usually costs around $250-$400 depending on the organization. Most programs allow you to buy the exam separately, but some only offer packages that include study materials. You’ll need to retake the test if you fail. This is cheaper, but still costs around $200 for most programs. Make sure you check the program package, as some come with free retakes. All certifications require you to recertify. This involves paying for a renewal fee and proving you’ve completed the required continuing education units. The average cost to maintain your certification ranges from $50 up to $150. The most expensive is ACE, which costs $139 every two years. NSCA is much cheaper at $50 every three years. Some organizations also offer a lifetime renewal fee. That’s only part of the story though. While ACE is expensive to renew, the organization only requires 20 CEUs in a two-year period. In contrast, NSCA, which costs $50 every three years, requires 60 hours. This is important, as CEUS can be one of the most expensive ongoing costs as a personal trainer. They are an investment in your career, so are worth spending money on, but the prices can add up. How much should you expect to spend on CEUs though? Most organizations offer a range of options for getting your CEUs. These include conferences, seminars, live workshops and online webinars. You may also be able to use courses and programs from external organizations. This means the cost of getting your CEUs varies a lot – and it’s impossible to put an average figure on it. If you choose to travel to conferences or live workshops, for example, the price of flights and accommodation can be significant. If you complete online CEUs, the cost will be much lower but you won’t get as much hands-on experience. 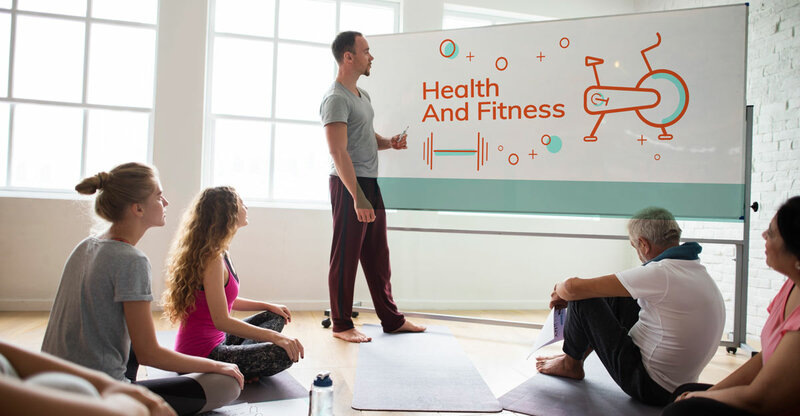 If you’re planning to run your own personal training business, rather than working for a gym or studio, you’ll need liability insurance. This can protect you if there’s an accident or injury during a training session. A typical liability insurance policy costs around $200-$250 per year. The price depends on the liability limits. You may also be able to get a discount for purchasing insurance for two-years. Another cost of becoming an independent personal trainer is advertising. While established trainers can rely on word of mouth, new businesses need to advertise to gain clients. The cost of building a client base varies a lot though. Printing flyers and business cards, for example, is relatively cheap. These materials can be great for getting your first few clients, but usually aren’t enough on their own. Other marketing methods include running ads on social media or in local newspapers. You can also offer a referral fee if a client recommends you to a friend. Regardless of the methods you choose, expect advertising to be an ongoing expense. If you’re thinking of starting a career as a personal trainer, one of the hardest decisions is which certification to choose. This is made more difficult by the wide range of prices for learning materials, exams and recertification. I don’t recommend making this decision based entirely on price though. It’s more important to choose an accredited organization that matches your career goals. Even so, price is always going to be a factor. Here’s a chart of the costs of some of the best certs, but if you want more information check out our certified personal trainer page. 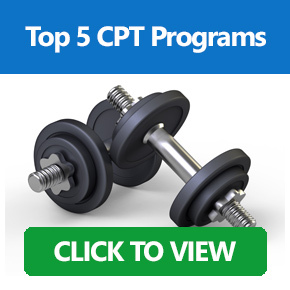 We also have a list of the cheapest PT certification options. Note: In most cases, the prices of a certification don't vary depending on your location in the US. Whether you're in Florida, Orlando, Texas, New Jersey or New York, the price for certification is the same. Prices might vary for different countries though, such as Australia, UK or Canada. If you have to travel to live events you should also factor in the cost of flights and accommodation. The cost of becoming a personal trainer can seem like a lot – but it’s a relatively cheap career to get started with. Unlike college degrees, the upfront costs can be as little as $500 for training materials and the exam. This is a big chunk of money, but it’s not much when you consider your potential earnings as a certified personal trainer. Even with CEUs, recertification fees and liability insurance, becoming a CPT is inexpensive compared to other careers. The next step is to choose the right personal training certification. What should you look for though? It’s vital to choose an accredited and widely recognized certification. It should also be accepted by your employment options, as the wrong choice can limit your career options. The cert should also provide a solid base for training a wide range of clients. To help you make the right choice, we have a page dedicated to the best personal training certifications – click here to get started.